I use to think I could pick out my paint colors, but I was that person purchasing gallon upon gallon trying to get it right; that was before we sampled our paint in pints and quarts. The gift of a Hirshfield’s color consultation takes away the angst that sometimes accompanies the selection of the perfect shade of purple. It’s a super thoughtful gift for new homeowners, male or female. Or maybe you know someone who has been talking about painting, but never gets around to it. Picking the paint colors may be holding them back from starting their project. If you’re like most homeowners, you’ve more than likely found yourself standing in front of a wall in your home staring at samples of various paint colors applied side-by-side in small sections. You may leave the room for a bit and come back to look at the colors again at a different time of day. You may ask your friends and family for their advice. You may tilt your head thoughtfully, while looking at the colors for the hundredth time, and murmur, “Hmmmm….” But at the end of the day you still don’t know what color to go with. You’re not alone. Paint may be the least expensive decorating product you can purchase to dramatically change the look of your home. But for many it comes with a high price: color anxiety. If you find yourself agonizing over countless paint chips and feeling overwhelmed at the amount of time spent on indecisiveness then consider enlisting the help of a Hirshfield’s color expert. So how does a Hirshfield’s color call work? In a little over an hour, we’ll visit you in your home, get an overview of your spaces, your lifestyle and the personality you wish to convey. Based on this discussion, we’ll establish a paint strategy that will tie everything together to create an overall beautiful space. After the in-home visit with the color stylist you’ll receive a color plan which details all of the paint colors specially selected for your rooms, the product recommended and the paint quality and finish required. 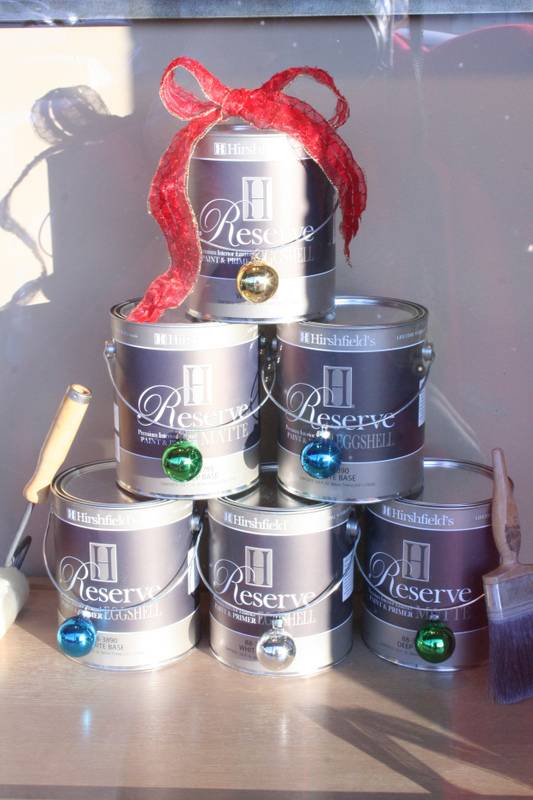 You’ll also receive a $20 gift card that you can use on your next visit to any Hirshfield’s Decorating Center. Hirshfield color experts can help you choose the perfect color for the interior or the exterior of your home. The cost for a Hirshfield’s color call is $150. Schedule an appointment with a Hirshfield’s color stylist at any Hirshfield’s store today, schedule online, or call Marsha at 612-374-0203. For more information, click here. Give the gift of color this Christmas!